Celebrity parents and kids celebrated Halloween, played at the park, and headed to the airport this weekend. Jessica Alba and Honor Marie played in the sand at the park on Saturday as Cash Warren and baby Haven Garner hung out on the bench. Charlie Sheen’s ex-wife Brooke Mueller took their twin boys Bob and Max to the 18th Annual Dream Halloween to benefit the Children affected by AIDS Foundation. ‘Real Housewives of Beverly Hills’ star Camille Grammer at the same event with her kids Mason and Jude. Christine Taylor (actress and wife of Ben Stiller) arrived at the airport with her kids Quinlin and Ella. 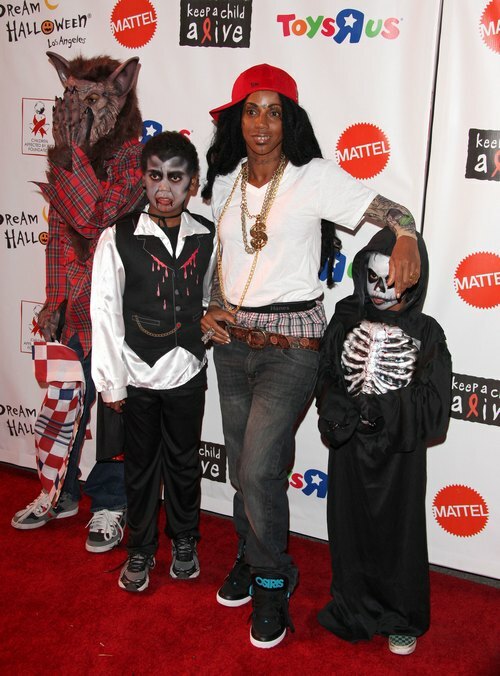 Holly Robinson Peete (as Lil Wayne) and her kids also attended the Dream Halloween charity event. 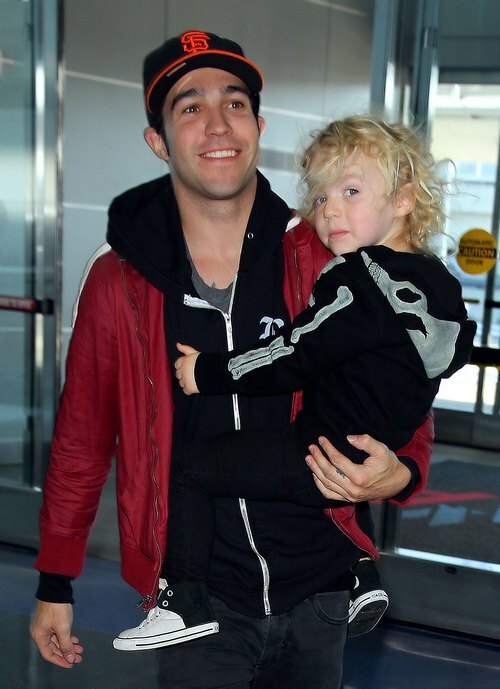 Pete Wentz and his curly-haired cutie Bronx Mowgli arrived at the airport together. Bronx had been in NYC with his mom Ashlee Simpson. 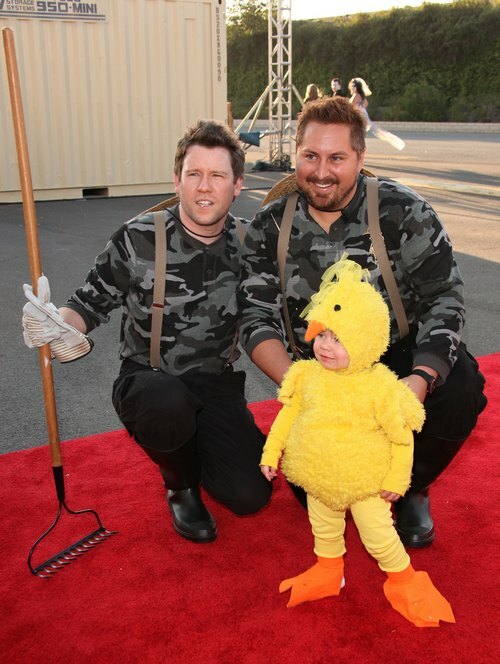 Scout Masterson and Bill Horn got into the Halloween spirit with their daughter Simone. 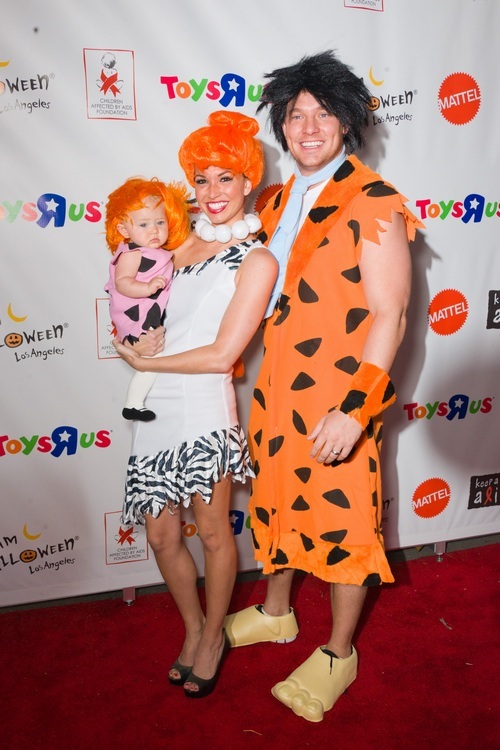 Tye Strickland and Melissa Rycroft dressed up as the Flintstones with their daughter Ava Grace.